It seems like the winter is finally arriving. The weather forecast shows colder temperatures and snow for a week, which means that the trails will soon be nice and hard after several months of wet misery. Hence there is no reason not to make the Salsa Mukluk more winter capable. In really difficult snow conditions, the only thing that matters is the width of the tires and to some extent the knob pattern of the tires. I therefore put the widest combination that would fit the frame, Surly Clownshoe rims on Hope hubs and Surly Big Fat Larry tires. 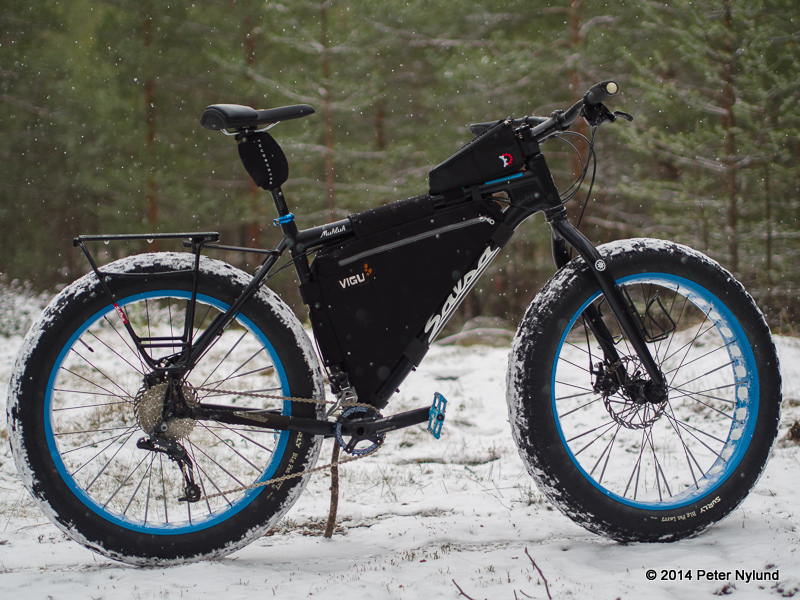 The front would take something a little wider, but this is the widest that can fit the rear of the Mukluk frame, and it needs drivetrain modification. 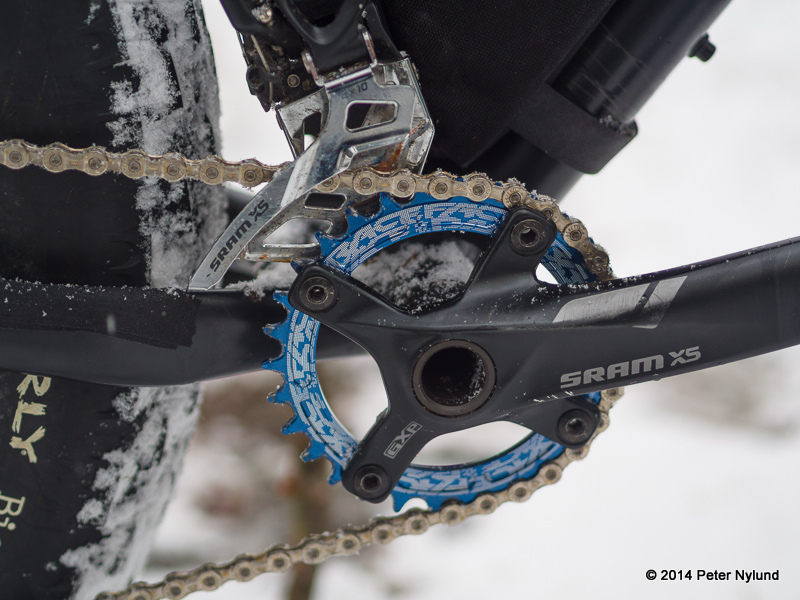 I went for a 1x9 drivetrain with a single RaceFace 30t Narrow/Wide chainring in the front. 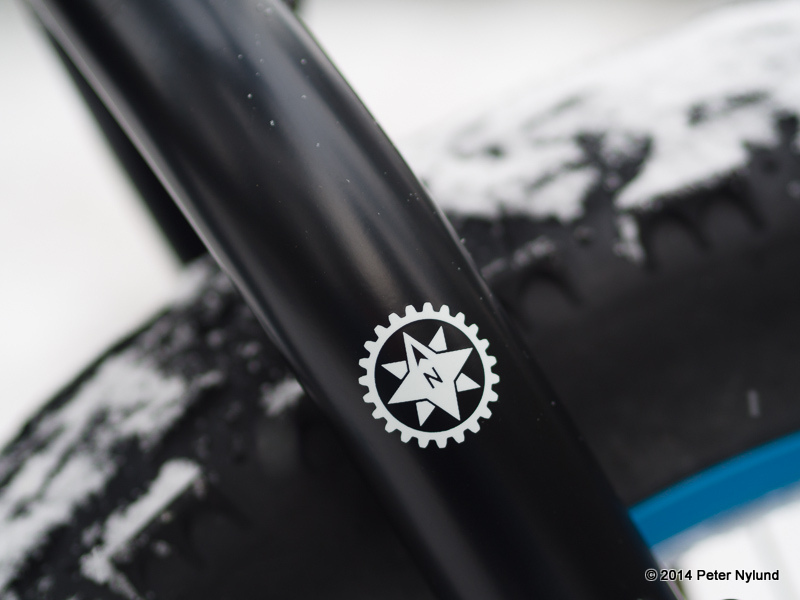 Combined with the 12-36 rear cassette I'm hoping that the gear range is wide enough. I didn't bother to remove the front derailleur and shifter, since I'll go back to two chainrings in the front after the winter. 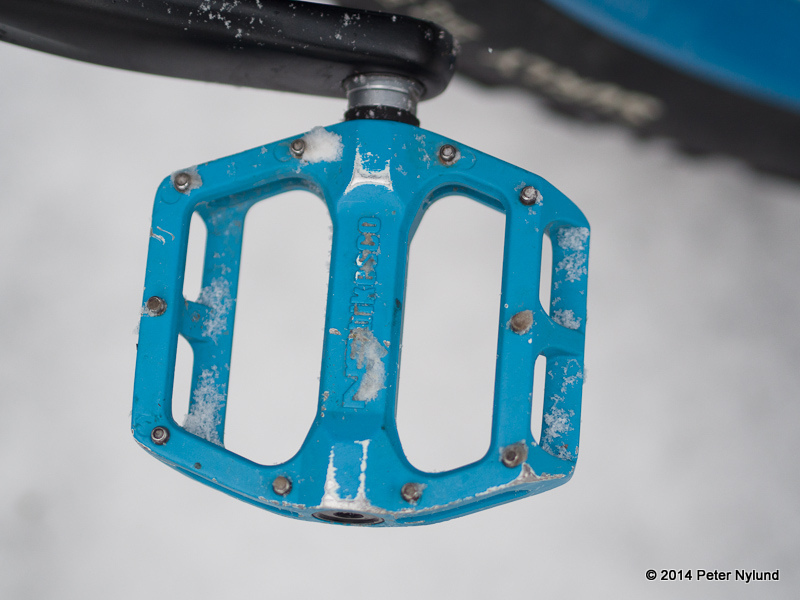 Flat pedals to keep my feet warm. 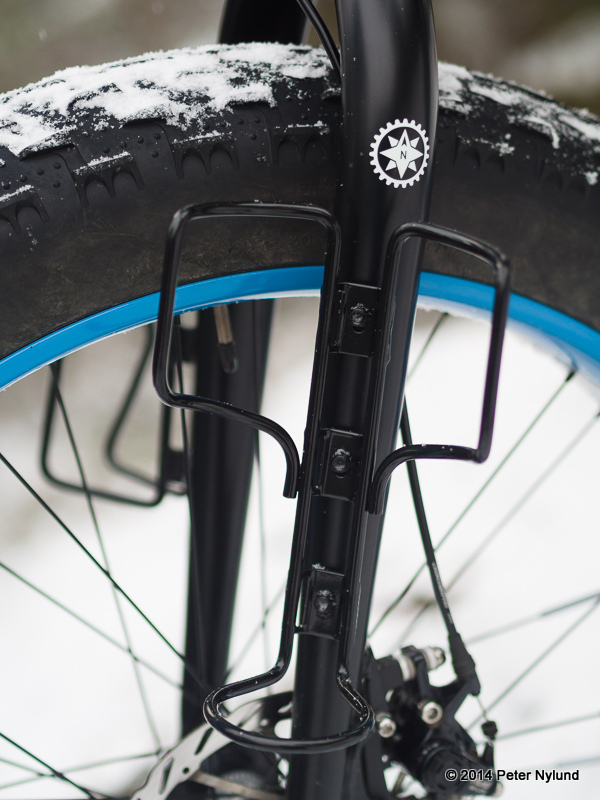 I haven't yet tried the 45NRTH Wölvhammer size 50, which possible could be big and warm enough for the coldest days, but I do have a solution for flat pedals. 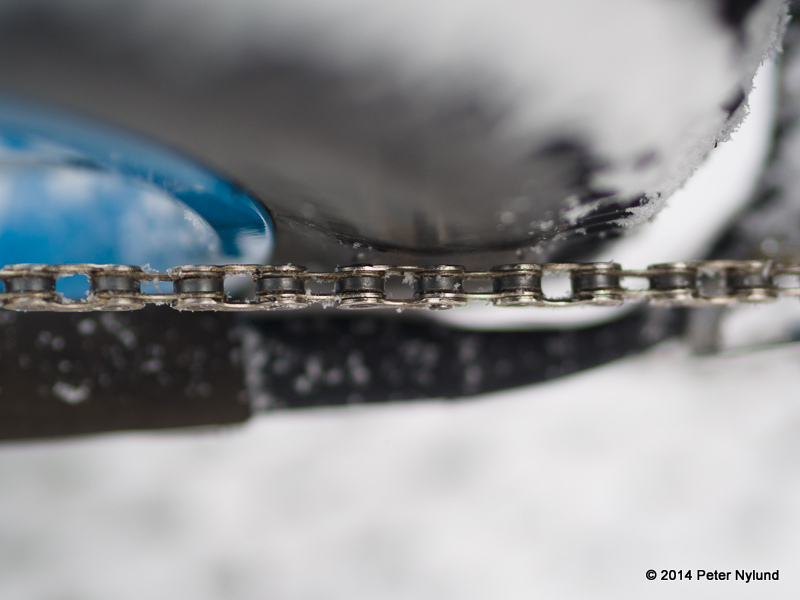 The chain clearance is barely good enough in the lightest gear, about 2 mm, but the chainline is otherwise fine. 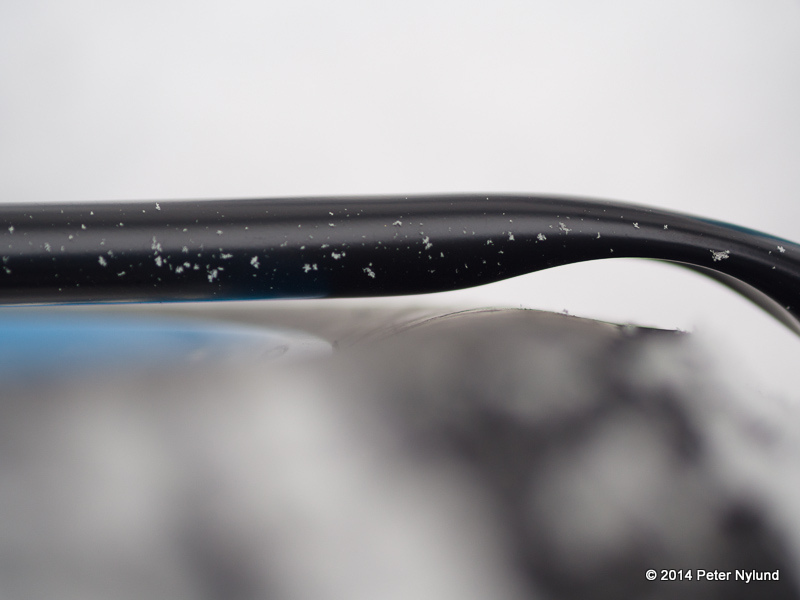 The tire also clears the frame with just enough marginal for snow use, about 4-5 mm per side. If the alternator dropouts could be moved even further forwards, the clearance would be better. 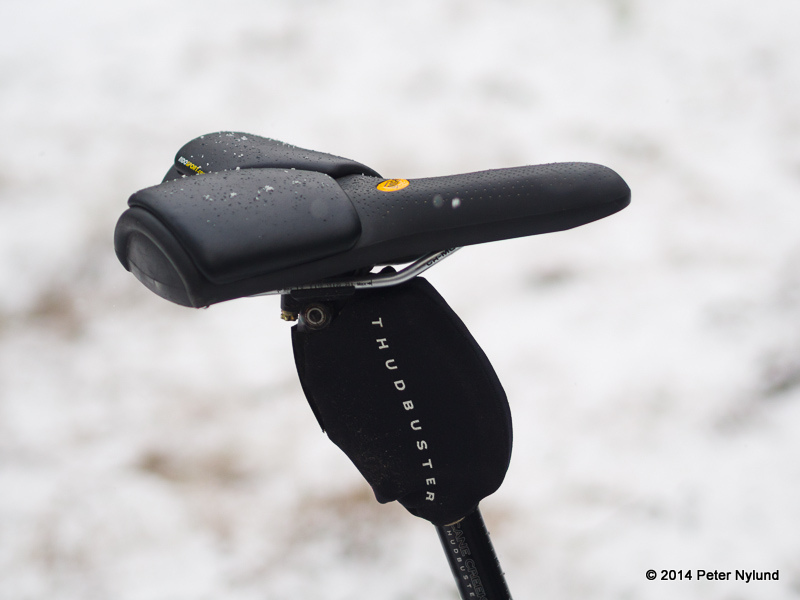 I will never give up my Rido R2 saddle and I nowadays also use a Thudbuster LT suspension seatpost to save my back. The need for this is probably smaller during the winter, though. 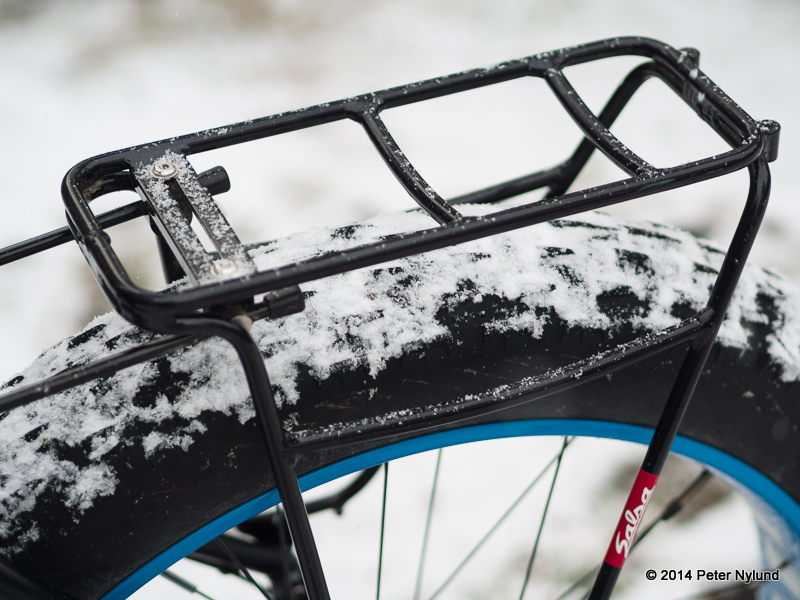 The Salsa Alternator Wide rack is probably the best rear rack for the Mukluk. 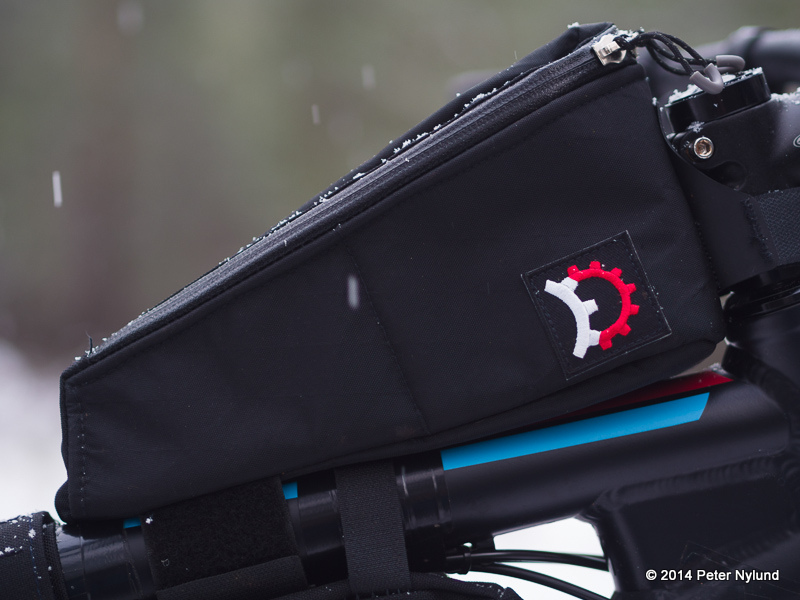 Revelate Designs makes excellent bags for bikes. The Gas Tank is an good place for a small camera. The Salsa Anything Cage is a good idea, but the first version was to weak. I've broken two of the already, but I'm hoping the reinforced version will be available soon. Now I'm just hoping for lots of snow and really cold weather, to get a least some winter training before Rovaniemi 150.